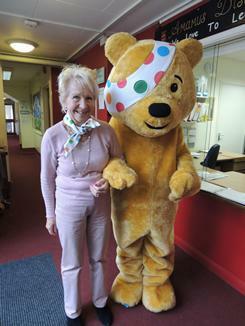 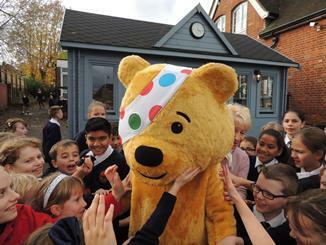 We were delighted to welcome Children in Need's very own Pudsey to our school today! 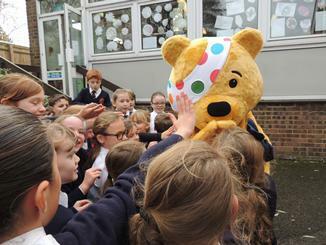 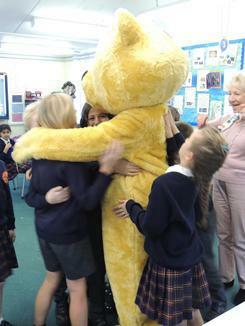 The children enjoyed 'high fives', hugs and waves as Pudsey made his way around the classrooms and the playground . 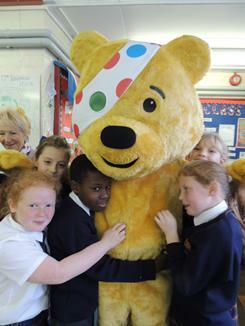 On the BBC's fundraising day iteslf, children will be coming to school wearing the Pudsey merchansdise which has been on sale in school today aswell as adding to the collection of money which will be made to send of to the charity. 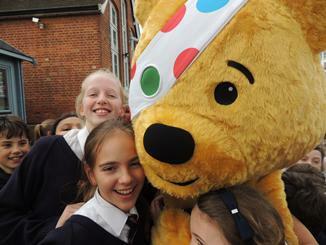 Well done Pudsey!